I have a bad habit of not reviewing my favorite products until they’re almost empty, and Naruko’s Face Renewal Miracle Essence is no exception. (I also have a bad habit of giving spoilers of all my reviews in the first line if I like it lol.) This lovely, rice ferment-rich watery first essence has become a staple of my routine. My favorite products usually don’t become favorites overnight. Like other favorites like the Belif Chamomile Tincture, or the Naruko Job’s Tears Essence, my love for the Naruko Miracle Essence grew over the course of a few weeks of consistent use, highlighting the fact that we’re playing the long game here in skincare, folks. Another Naruko product that has become a go-to staple of mine is the La Creme Supreme Elixir Oil, a serum + facial oil combination product that is incredibly luxurious and nourishing. Since they both come from the same luxury La Creme line from Naruko, I though it would be fitting to review them in the same post. CosDNA ingredients here (I’m sorry, I’m not going to type it out, it’s SOOO friggin long and my eyes aren’t what they used to be). The takeaway here is that the primary ingredient, 94.9% of the essence, is made of Oryza Sativa Lees Extract, or rice lees extract. Essentially, this is an extract from the sludgy stuff left over after fermenting rice. It doesn’t say what kind of yeast was used in the fermentation process, but in general rice ferments are supposed to be good for promoting hydrating, brightening, and radiance. The rest of the ingredient list contains a laundry list of botanical extracts, that in my opinion, are unlikely to have much effect due to the tiny amounts. The Naruko Face Renewal Miracle Essence has a watery consistency (it honestly feels almost exactly like water, just with a bit more plushness). It smells like yeast, like sake, or beer without the hoppy-ness. It’s not a strong smell and I don’t really notice it anymore after 2 months of use. It absorbs quickly and immediately boosts my skin’s hydration levels. After being absorbed my skin doesn’t feel like it has anything on it. This isn’t a standalone product. If I don’t put anything on top of the Naruko Face Renewal Miracle Essence, my face quickly dries out just as if I had used water. However, this first essence helps subsequent products to absorb more completely and boosts the overall hydration of my skin when used as part of my multi-layer skincare routine. Over the last couple months, whenever I DON’T use the Naruko Miracle Essence, instead skipping forward to a thicker hydrating toner, I notice that my face definitely feels more dehydrated and doesn’t absorb my toners and serums as easily. After about 3 weeks of using the Naruko Face Renewal Miracle Essence, I noticed that my skin looked healthier, more translucent, and radiant. I had fewer areas of redness and irritation. After a few more weeks, the effects became more obvious. I even had a friend and my husband comment, unsolicited, that they thought my skin had improved and become smoother and healthier lately. Since this was the only product that never fluctuated in my skincare routine, I feel safe in saying that this was the reason, or at least a large contributing factor, in my improved skin health. I found this essence more brightening/radiance-inducing than the Secret Key Starting Treatment Essence, which is admittedly a lot more affordable but didn’t seem as effective. Narukoboutique where it retails for $90, but is pretty much always on sale for about $35 to $40. I think this is a great alternative to the super-pricey SKII essence, which retails for around $200. Next up, the lovely Naruko Supreme Rejuvenating Elixir Oil. This essence + oil combo comes from the same La Creme series as the Face Renewal Miracle Essence, as you can see from the similar elegant bottle design. It’s a gorgeous golden colored oil and to me, this oil is the very definition of luxury. Thank you so much to my blogger friend Geeky Posh for typing out the entire accurate ingredients list in CosDNA, because my heart was sinking when I was contemplating typing it all out. Warning: there IS another CosDNA ingredient list floating around out there but it is not accurate according to the box. The first ingredient in this “oil” is actually a silicone, which I think actually helps the Naruko Elixir Oil to feel silky-smooth and non-sticky after it dries. Other notable ingredients include Abyssinian Seed Oil, a stable oil which contains Omega 3s and Omega 6s for inflammatory and moisturizing benefits, sunflower seed oil, squalane (one of my favorite facial oils at the moment), argan oil, meadowfoam seed oil, vitamin E, and more. It also contains CoQ10 and a host of soothing botanical extracts. This isn’t the oil you are going to reach for if you want a completely “natural” oil, as it does contain synthetic ingredients. However, this also makes the Naruko Supreme Rejuvenating Elixir Oil an extremely cosmetically-elegant, pleasant oil to apply. The Naruko Supreme Rejuvenating Elixir Oil is about 80% oil blend and 20% essence. You’ll want to shake it up to mix the essence into the oil before using. It’s a pretty runny golden oil and the essence phase does separate out as you drop it into your palm, though they mix together fine when absorbing into your face. The Elixir Oil smells heavenly like many Naruko products; it smells very much like the Magnolia Night Gelly in fact. Once applied to the face, it sinks in very quickly and dries to a smooth, non-sticky finish. It’s not as thin and lightweight as a pure squalane oil, but it feels very nourishing and luxurious. I do feel like there is a light protective film over my skin, but it doesn’t feel greasy or unpleasant — in fact I’ve used the Elixir Oil as a day moisturizer without feeling like my face felt oily or shiny. My skin suffers from dehydration, especially overnight. I’ve been using the Naruko Supreme Rejuvenating Elixir Oil as my second-to-last step, just before my night cream. When I wake up in the morning, my skin looks youthful and radiant, soft and hydrated. I notice a definite difference when I use it compared to when I do not. 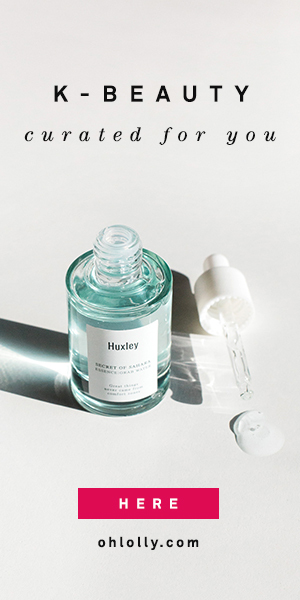 And especially as I’ve been increasing my acid exfoliation these days in an effort to fade my sun spots, this oil keeps my skin happy and flake-free. I think this would be an amazing product for people with dehydrated or dry skin. Narukoboutique for $90, but again, permanently on sale for around $35-$40. I think this is a reasonable price for such a luxurious and unique product, and would make a gorgeous gift. What do you think about these two Naruko products? Which one are you more inclined to try? I received these products free for review. All opinions are, as always, my own. They are both lovely :). I absolutely adore the Elixir Oil! I too was curious about it thanks to Jenny and was over the moon when it arrived my door step! I’ve only used it for a week and my skin is loving it. Sweet! It is sooo nice isn’t it? And smells soooooo good! I am hearing so much about the Naruko brand and their incredible range! I haven’t been too adventurous with my skincare range so I’m going to give this a go! I think the oil is going to be my first foray!! Yay! I really think you will love it. Please let me know what you think!!! Both of these products are da bomb dot com, and may be my favorite products in the whole Naruko range. Makes me want to try everything else in there La Creme line 😛 Thank goodness for the permanent sales because goodness the full prices are high! Haha I know, the permanent sales!!! They make them very reasonable actually for such high quality products. I’m down to my last few weeks of the Naruko essence and I’m super sad. I have a lot of other products to try out but I really want to repurchase it!